There are definite Do’s and Don’ts to how to ask a date and how to behave on a date. I have some tips for making it a positive experience and worthwhile. Continuing the series To Date Or Hang Out the next step is the art form of dating which we will address here in sections. 1. Do not fb, text or email to ask a girl out on a date. CALL her on the phone. You can FB, text or email to introduce yourself, get her number, etc., but to ask her out, CALL HER! 2. Make it clear to the gal – is this a date or a hangout does she pay or are you? Girls wonder: what are your motives, intentions? When you ask about Friday with friends, does that mean it’s a bunch of us and I’m supposed to bring friends, or is this a date you are asking me on? Make it clear and concise what your purpose and goal is. 3. Let your date know what you are doing so she knows what to wear. One time my sister Jody was asked out on a date and she dressed up, wearing heels. The guy picked her up and took her hiking…what? Don’t make that thoughtless mistake. 4. Sometimes making the first date a short one of an hour or less is advisable. Make the first date not a long one. Better to have it short and sweet then long and drag it out, particularly if it turns out that you/they are not interested in furthering the relationship. 5. It can be scary to ask a girl out, she might say no, but she might say YES! 1. Girls let the guys know you want to go on a date and not just hang out – somehow get the word out. 2. Girls if you must turn down a date, be kind and be sensitive about it. If you want to go out, but are not available for that particular time, make sure to let him know that too. 1. Guys do NOT ask the girls where she wants to go eat unless you give two options of restaurants. She doesn’t know if you have the budget for Wendy’s or a fancy-sit-down, nor what to dress for. DO let her know if you ARE going to eat or NOT so she can grab something before you go, or wait to eat with you. 2. When asking the girl out ask her curfew so you can plan accordingly. 3. Meet the parent(s) if possible when you pick up your date. Have her home by curfew and NO later; it is only respectful. 4. Guys be a leader, not lily-livered. Have a plan for the date. This avoids bad situations, regrets and possible unsafe settings. 5. While on the date, do NOT text, check FB or make phone calls, social media in any form. You are on a DATE with someone else. 6. When going out to eat, guys tell the girl what you are going to order so she knows what price range you are at. Girls order what the guy is ordering or below. Be considerate of his budget and DO eat something. Don’t do the ‘Oh, I don’t eat much and that’s why I’m so skinny’ or ‘I’m on a diet’. They want to buy you food, be nice and eat!!! 7. Guys still pay the bill. Be prepared to ask for another date IF the first goes well. 8. Guys open the doors. Let the gal go ahead of you into a building or the doorway. Use manners, they are never out of style. 9. Keep the conversation going, but do NOT tell you life story nor personal or private information on the first or even second date. Allow a relationship to develop as you communicate and information flows naturally. 10. When on a date be there. Do not talk about previous relationships and other dates, besides its poor manners. 11. Date a person in several types of situations to get to see what they are really like. 12. BOTH work to keep the conversation going. It should never be one or the other making all the effort. 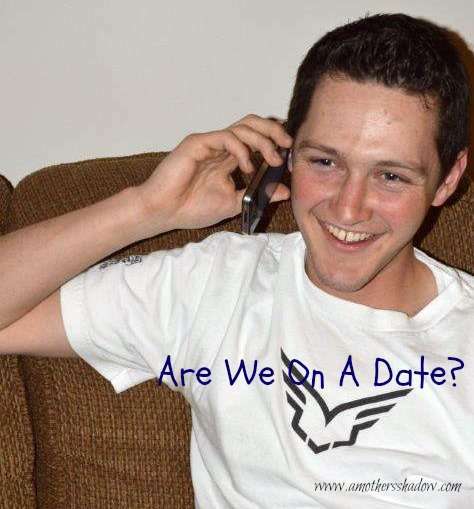 Let the parents or someone else know where you are going on the date – guys let the gals know before or at the door. This is critical for safety. SAFETY is FIRST and FOREMOST IMPORTANT. Make sure as the guy you are preparing a date that will provide a safe environment. As a gal, do all you can to be aware of your surroundings and to keep yourself protected as you can. 1. It’s ok to end as friends. 2. As you get a life*, generally love finds you. Not always does it happen that way, but more often than not. 1. Act in a way that is appropriate and commendable. Don’t gossip and talk bad about others while on a date. 2. Dress modestly. It is important to dress attractively and in fashion, be it a man or woman. Dressing with taste and reserve does not limit or restrain. It actually demonstrates that the man or woman understands their inner value, qualities and worth. Conversely, wearing provocative clothing with the purpose to attract attention clearly screams I have this body to offer and not much else. 3. Be yourself – ALWAYS be genuine and true Deceptive is never good and back fires every time. 4. As you date a person regularly assess your relationship. Is everything revolving around your date? Too much of your life? Does your homework/job suffer? Are you ignoring your family and other important issues in your life? This is a time to reconsider what direction you are going and if it’s the life you want. 5. If you and your date are texting, emailing, FB, continually/constantly, that is not healthy. Finding a person who enhances your personality for the better and you do the same for them; both putting God first, will help you sift through the dating pool to find your trophy.